There are 3 main factors that are responsible for obesity. Diet, exercise and sleep or more precisely poor diet, lack of exercise and insufficient sleep are causes for the obesity epidemic in America. Let’s look at the typical working American. In the morning, a cup of coffee at home or outside and breakfast combo consisting of egg, cheese and meat sandwich, hash browns and maybe some orange juice to wash it down. Snack time at work means walking down to the vending machine and grabbing a candy bar or potato chips till lunch. Lunch time with coworkers is fast food for a cheeseburger or chicken sandwich, fries and a soft drink. Afternoon snack is another trip to the vending machine. Dinner is take-out, drive-thru or popping in a frozen dinner because they are too tired to cook. Watch TV while eating dinner. After dinner, more TV, video games or computer time with a bowl of ice cream. Then go to sleep late in the night. What’s wrong with this picture? This typical American has a poor diet, lack of exercise and insufficient sleep and will be overweight or obese if not already so. First and the most important factor regarding health and obesity is diet. What’s wrong with the diet most Americans are eating? Breakfast: Breakfast combo consisting of egg, cheese and meat sandwich, hash browns and some orange juice. The sandwich bread has white flour which processes like sugar in one’s body. Meat either bacon or sausage produced from an industrial farm where the pigs are fed GMO corn full of pesticides, growth hormone and antibiotics and where the pigs are in their manure 24 hours a day until they are slaughtered in an inhumane assemble line. Eggs from an industrial chicken farm where they also are fed GMO corn feed and do not see the light of day until they die. Cheese made from industrial cow’s milk fed GMO corn. Hash browns, fried foods are one of the worst foods as it destroys our endothelial cells, the lining of our blood vessels allowing plaque and cholesterol to build up. Orange juice has no fiber to balance the sugar so it’s almost the same as a soft drink without the fizz. Snack: Candy bar full of sugar and chemicals to get us really addicted or potato chips full of MSG or fee glutamates to enhance taste and gets us addicted but more importantly, MSG causes us to turn on our fat programs. How do scientists study obesity? They first have to make a mouse fat. How do they do that? Feed them MSG. You can Google – MSG Obesity Induced Mice and see the pictures for yourself. Lunch: Cheeseburger; white flour bread, cheese made from industrial cow farm’s milk, beef from an industrial farm cows fed GMO corn. Fried potatoes treated with MSG. Or chicken from industrial farm chickens fed GMO corn. Soft drink that’s full of sugar and chemicals including phosphorus acid which reduces bone density. Diet soft drink which has a deadly combination of caffeine and aspartame that kills brain cells and aspartame is a neurotoxin. Dinner: Take-out from a restaurant with meat (see above) and dairy (see above) and MSG (see above) or drive-thru (see above) or frozen dinner full of meat, dairy and MSG (see above). Dessert: Ice cream full of sugar and dairy. Add watching TV, playing video games and computer time which means no exercise. Why is exercise important? Regular exercise helps maintain weight by speeding up the metabolic process, boosts good cholesterol HDL (high density lipoprotein), improves mood and boosts energy. And exercise can and should be fun. End the typical American’s day late into the night which means insufficient sleep. We all need good sleep to maintain health because deep sleep metabolizes cortisol which is a stress hormone. And elevated cortisol levels create unhealthy symptoms including weight gain. So it’s not hard to figure out why the typical American is overweight or obese. Poor diet, lack of exercise and insufficient sleep all contribute to the fat epidemic in America. Please consult with a physician before modifying your diet and exercise program. 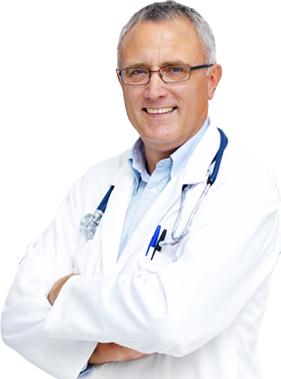 Slim Spa Medical provides doctors for consultation, prescriptions sent to your door, nutritionists to assist with your diet depending on if you’re vegetarian, vegan, diabetic hypertensive etc. Nurses and weight loss coaches are available with just a phone call. 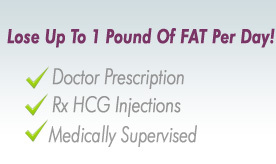 Call us to buy HCG injections and get your medical weight loss questions answered.